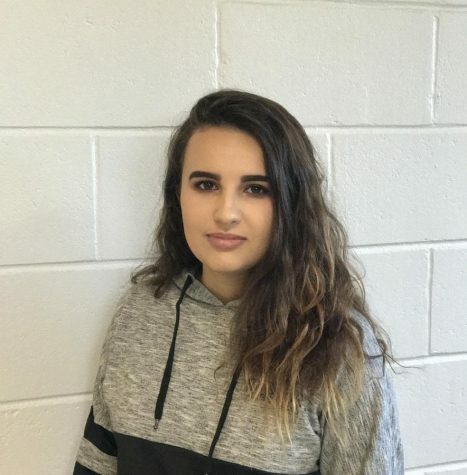 Briana Deferreira ,17, is currently a senior attending Ludlow High School. Seeing as how it is her last year attending high school she has been looking into different colleges in hopes of finding her perfect match. As of now she says she isn’t sure of exactly what she would like to go to college for but she does know she would like to continue her career in literature and writing. The first time journalism student is excited to see what the course has to offer her along with her passion for writing. During her free time if she's not with friends she’s often listening to music or watching one of her favorite shows such as The Vampire Diaries, Shameless, or Family Guy. The student hopes that by the end of this year her knowledge of journalism is vastly expanded and she will be able to go out and catch a story with no worries or setbacks.